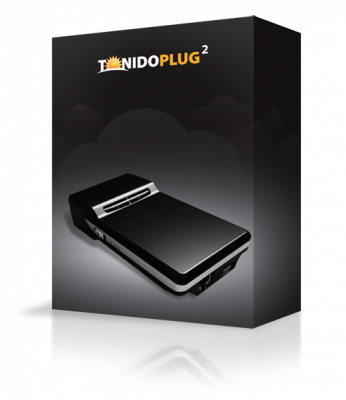 TonidoPlug 2 is a low power server both for home and small-businesses that will enable you to run your applications, photos, music, media and other files everywhere through mobile applications or a mobile browser. TonidoPlug2 empowers you to access and share your files with great ease through your mobile devices like your Blackberry, Android, iPad, iPhone and other Smartphones. This server offers great portability, quite similar to portable hard drives.. This server, aside from being equipped with Wi-Fi b/g/n, comes in a built-in SATA 2.5″ enclosure, which means you can set aside the plugs and wires. So when the situation calls for it, TonidoPlug2 can act as a standalone NAS server. Though small in size, this versatile device is very powerful, with 512 MB DDR3 RAM and 512 MB NAND flash memory. Its DLNA media server provides music and video streaming to any of a number of networked devices that are UPnP/DLNA certified, such as Xbox 360 or many TVs. With this efficient low power server, your data and applications are available locally, ready for you even in the absence of an internet connection to your device. 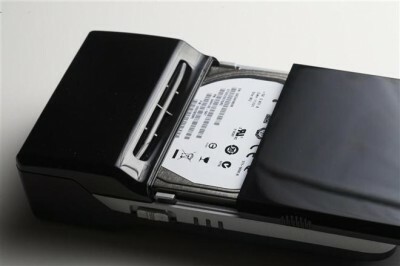 And whenever a portable hard drive or an internal SATA drive is connected, TonidoPlug2 makes it an NAS storage device accessible by Linux, Mac or Windows computers in a local network. As a low power server, TonidoPlug2 is built on a Marvell Armada 310 chipset with super-low energy consumption of 1.2 watt per hour while offering 800Mhz performance. This new server consumes electricity up to four times slower than its predecessor, the TonidoPlugv1.